While the success and growth of virtual reality has been evident in recent years, augmented reality did not suffer the same fate. Although it was always included in the group of new technological trends that promised great things, few cases have been seen to prosper. However, there have also been success stories, such as Pokémon Go. Although it lost massive interest and users a few months later, the fervour it caused is well known. In addition, this particular video game also served to demonstrate that augmented reality could still have a second life after death and one of the areas where it could have more development is in the field of advertising. How many times a user purchases a product on the Internet and when he receives it was not what expected? This will not be a problem in the future, as augmented reality would allow us to see the product with its exact dimensions, as if it were right in front of us. That is why several companies within the furniture and household goods sales sector, as well as clothing brands, are developing initiatives in this regard. This would allow us to test how a garment looks directly on our own body or how well a piece of furniture fits in a room in our house. In fact, there are initiatives from Amazon and Facebook in this area. This new type of advertising brings enormous benefits to the user. The possibility of seeing yourself with a product you want to buy opens up a whole new world of possibilities, which is likely to make e-commerce even more attractive and make it easier for brands to sell internationally. At the same time, however, the intrusion is much higher, while the company offering this type of service will be processing physiological information about the user, paying special attention to how this personal data is treated and protected, as well as to the way in which potential users are informed. Currently, most online shops process personal data that would be necessary to complete a transaction (name, address, credit card details, etc.). However, the technology described above would have greater implications for the processing of personal data. For these purposes, through an augmented reality system, companies could obtain information about the body or other physical characteristics or use facial recognition, among others. Biometric data is one of the special categories of data listed in Article 9 GDPR (also known as sensitive data). This implies that these data could only be processed when one of the exceptions contained in Article 9.2 GDPR takes place, which in this case would most likely result in the need to obtain explicit consent from the data subject. Furthermore, several states in the United States, such as Illinois, Texas and Washington (Texas §503.001(a), Illinois §10 and Washington §3), have specific regulations on the processing of biometric data. In these cases, additional consent requirements are also mandatory to process this type of information (in other states biometric data is included as personal data, without imposing additional requirements for its processing). 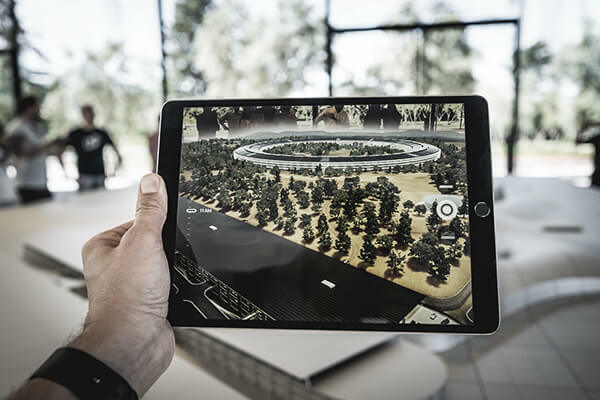 Imagine that a user would want to check the specifications of a computer in an augmented reality application and then, upon receiving it, the computer would not have exactly the same dimensions or characteristics as those shown in that application. This would be just an example of a wide range of situations that could lead to a considerable combination of contingencies in many different areas, especially given that advertising itself is an activity that is subject to intense regulation. Although it varies from country to country, most of them have regulations about unlawful advertising, acts of unfair competition and regulations on consumer protection and electronic commerce. As this technology advances, I will try to analyse in more depth in the future concrete examples that may arise in practice. In any case, I believe that the way in which this technology is presented and announced is key, since generating wrong expectations about the reliability of the image that the user perceives could probably become the main focus of conflict in this area. In conclusion, the use of augmented reality in advertising has just taken off. It is quite possible that we will see more examples soon of the application of this technology. However, there are also obstacles and legal barriers to be overcome. Hope these will not be an obstacle to unlock the full potential of this technology.